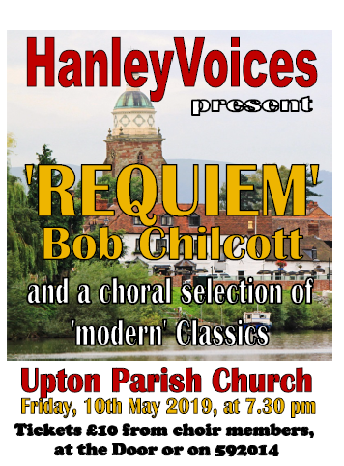 We are a friendly community choir with c.70 members based at Hanley Castle High School, near Upton-upon-Severn. If you enjoy singing but are worried about reading music or having to go through an audition, we are the choir for you! Everyone is welcome to join us without audition although we currently have a waiting list for sopranos to retain an even balance between parts. Please contact our secretary if you'd like your name added to the list. Our conductor is Ben Sawyer who sings countertenor with the a cappella group ‘The Songmen’. He manages to get us to reach high standards in our performances at the same time as making our rehearsals great fun. Hanley Castle High School details.. Throughout March and April join us singing as we accompany Cllr Andrea Morgan on her tour of churches in the Malvern Hills District to raise money for Worcestershire Cancer aid.